ItemE-01890 - View of the legislative buildings with the old buildings in the foreground. ItemE-01892 - St. Joseph's Hospital, Victoria. ItemE-01894 - View of the legislative buildings with the old buildings in the foreground. ItemE-01908 - Looking down Front Street, Quesnel. ItemE-01918 - Victoria in three parts, taken from the Songhees reserve; see E-01918, HP079716; F-06748, HP093790; HP079716, F-06747, HP093789. 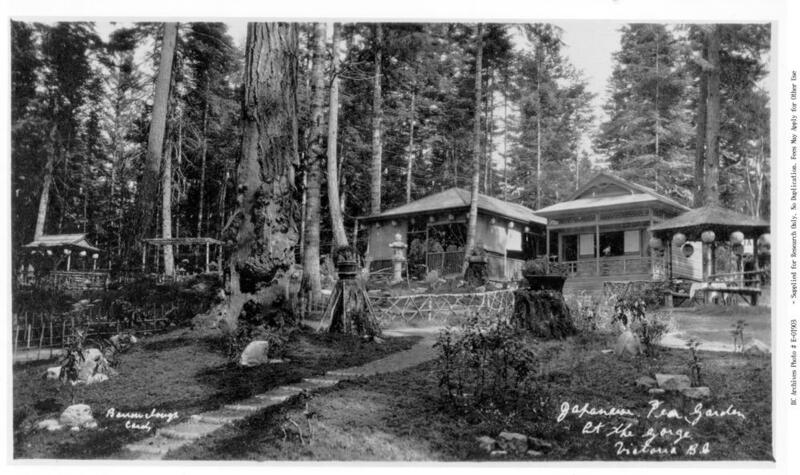 Tea garden opened July 1907.